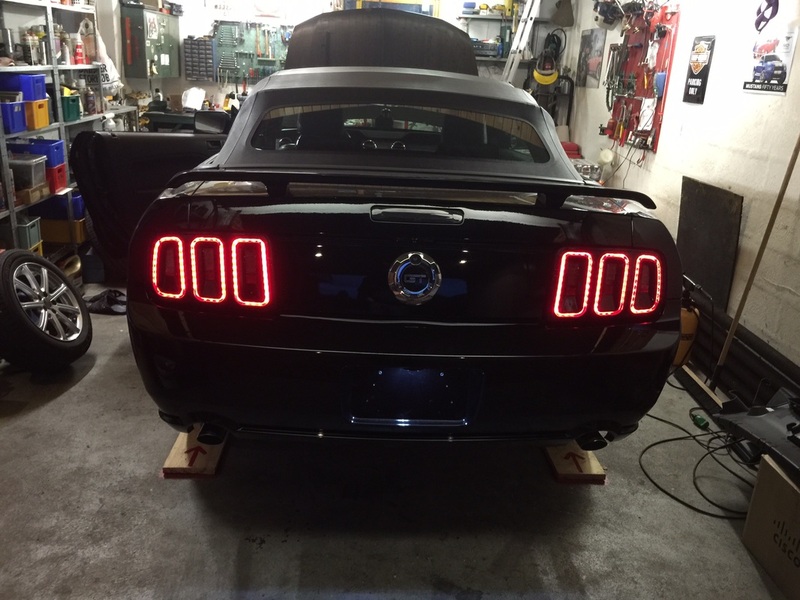 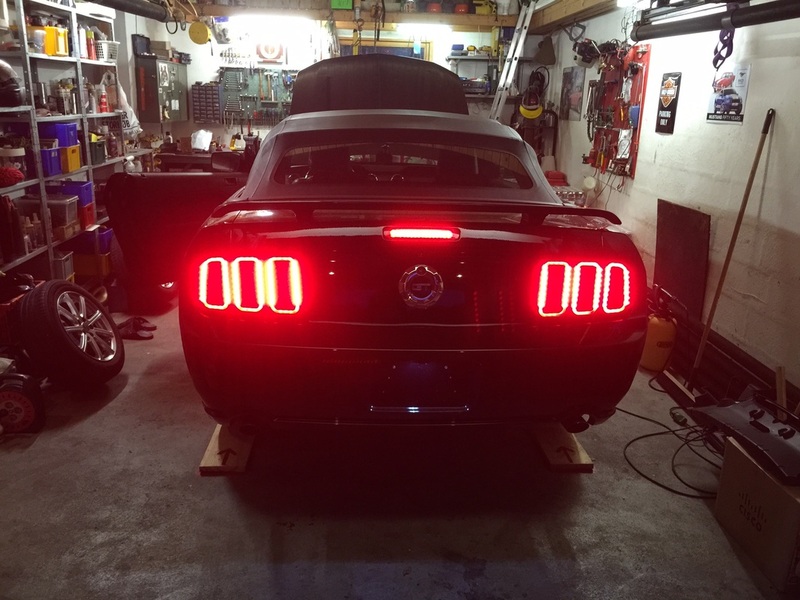 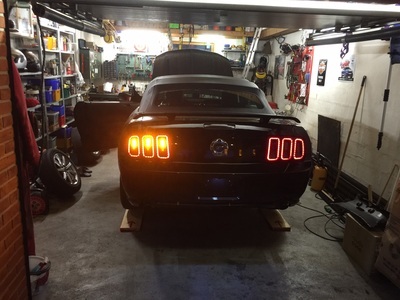 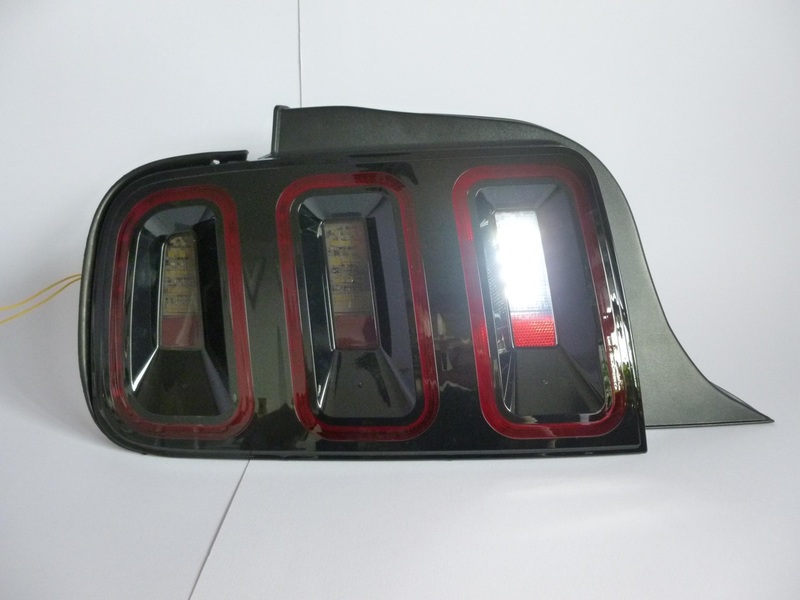 We are pleased to announce that we are now able to perform a UK/Euro conversion on the popular Raxiom Gen5 tail lights for the 05-09 Mustangs. 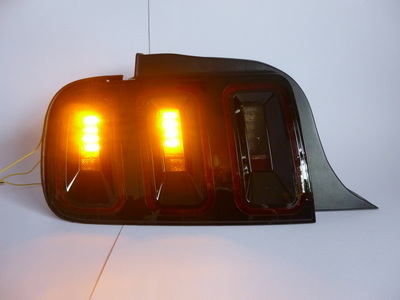 The conversion includes the addition of amber turn signals into the three clear central lenses. 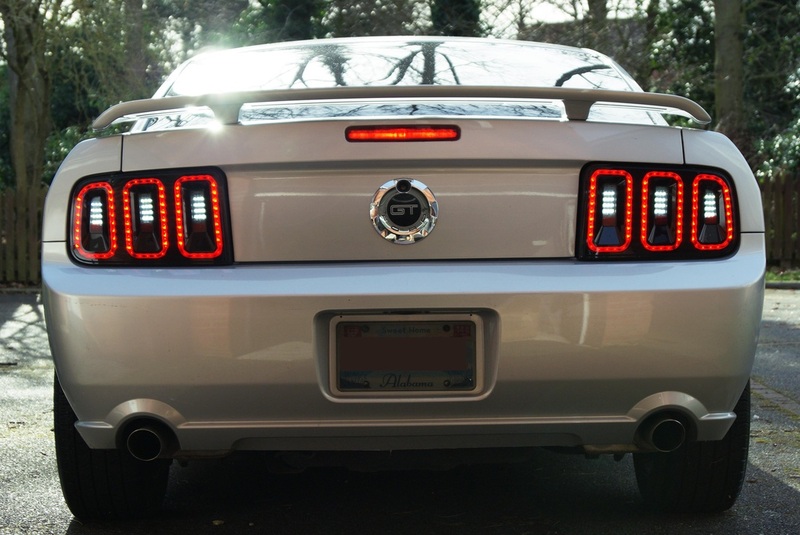 These retain the standard sequential function or this function can be disabled. 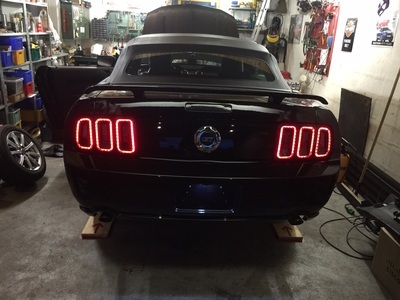 New brake lights are added into the tail lights halos giving dual function halo rings. A high intensity red fog light can also be included. There is some flexibility in the configuration of the lights and some functions can be changed to suit the customers requirements. The conversion retains the stock electrical connector on the rear and also has three additional flying leads to be connected into the vehicle harness. 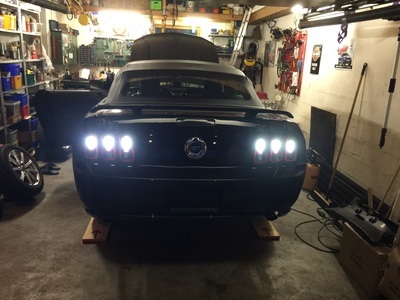 We can also offer a fitting service for these lights. These conversions do not include any additional wiring/modifications which may be required to fit these lights to your vehicle. It is recommended that any wiring modifications and installation is performed by an suitably experienced and qualified person. 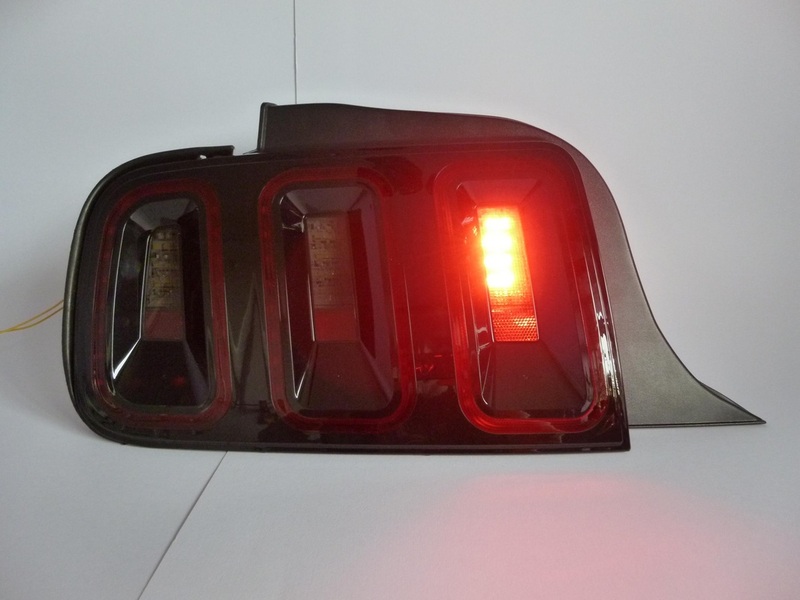 Examples of an alternative light layout.